From 2018 we will combine the two surveys to make it easier for companies to submit and to use the data. The purpose with the surveys is to give mystery shopping providers a tool for marketing their companies and the use of mystery shopping. For both surveys you should submit one form per country! 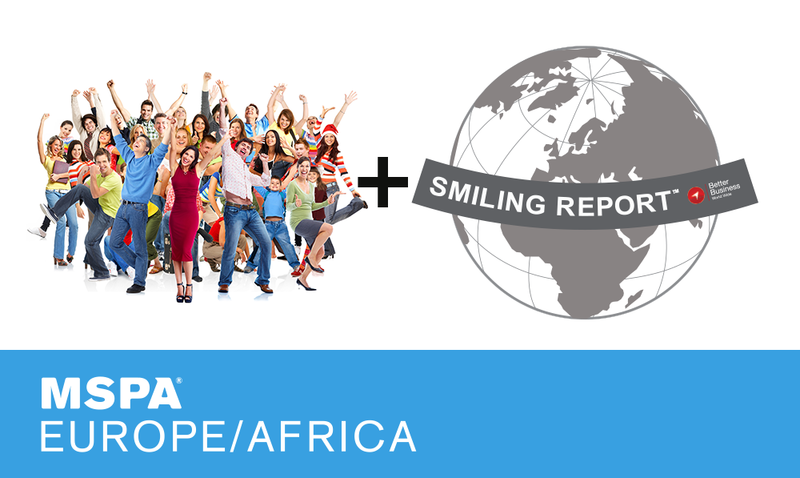 Send in your NHS data together with the Smiling Report results, at www.SmilingReport.com - form will be open January 1st, 2019. The aim is to have all data 2018 entered by 31st January 2019 so that we can show members some interesting data, and share ideas on how to present this to their clients. "How happy were the employees you met in the outlet during this visit, on a scale 0 - 10?" "Hoe blij waren de medewerkers die u tijdens dit bezoek in deze winkel tegenkwam, op een schaal van 0-10?" "Wie glücklich waren die Mitarbeiter, auf die Sie bei Ihrem Besuch in diesem Geschäft getroffen sind, auf einer Skala von 0 bis 10?" ¿Qué grado de felicidad demuestran los empleados con los que te encuentras en el outlet durante esta visita, en una escala de 0 a 10? "Les personnes que j’ai rencontrées au cours de cette visite m’ont semblé heureuses dans leur travail"
- Noter sur une échelle de 10, si vous êtes tout à fait d’accord, à 0, si vous n’êtes pas du tout d’accord. Click here to read an article what media coverage your company can get by joining the NHS!